We are constantly on the lookout for great deals in Burgundy and while they don't come around often, we buy big when they do. 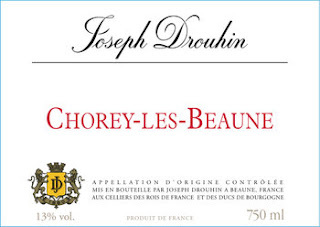 To that end we are happy to offer the 2015 Drouhin Chorey Les Beaune. Floral, perfumed and slightly reduced on the nose. Some spices, too. Full-bodied, fruity and layered. Excellent Chorey-Lès-Beaune. Drink or hold.